Item # 302665 Stash Points: 5,495 (?) This is the number of points you get in The Zumiez Stash for purchasing this item. Stash points are redeemable for exclusive rewards only available to Zumiez Stash members. To redeem your points check out the rewards catalog on thestash.zumiez.com. 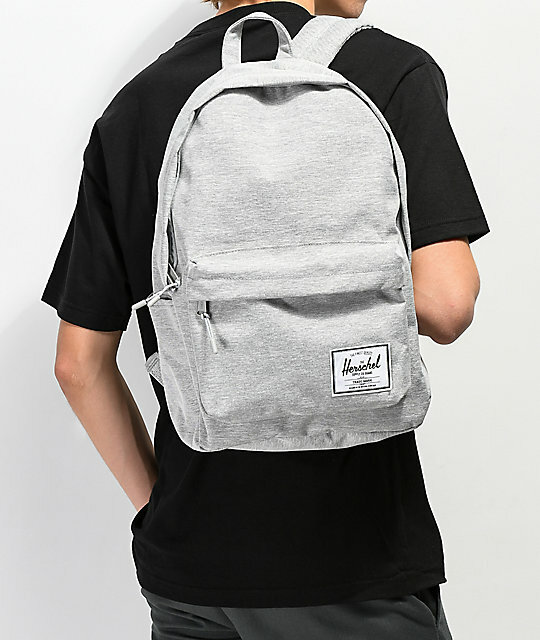 Herschel is back with a new take on the Classic XL Backpack, this time in light grey. 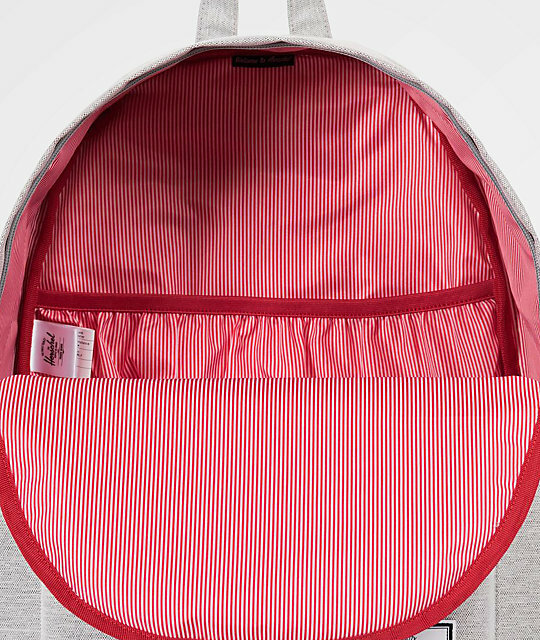 Complete with a 15" laptop sleeve, red and white striped inner liner and two water bottle sleeves, this bag offers everything we have come to expect from the Herschel brand name. 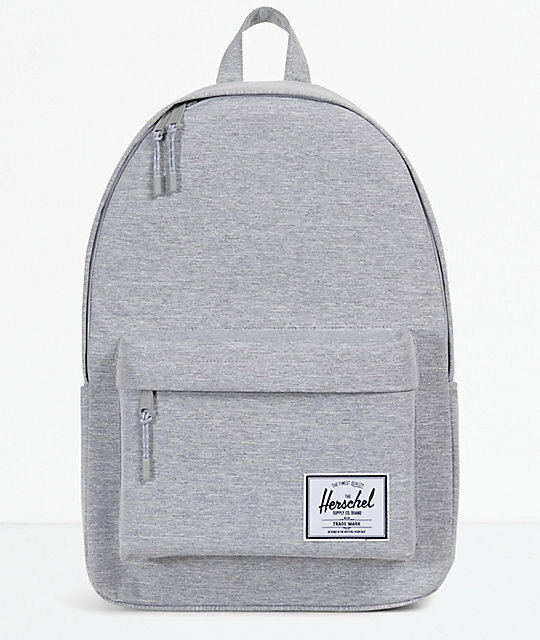 Get one bag to do it all, get the Classic XL Backpack from Herschel. 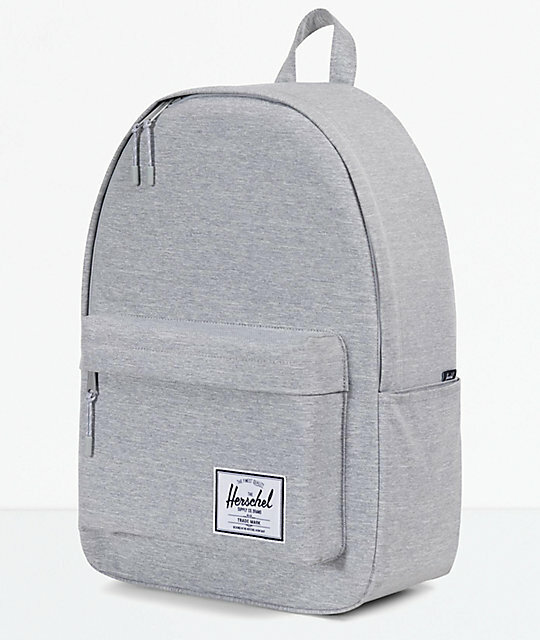 Classic XL Light Grey Backpack from Herschel Supply Co.
Front storage pocket with organizers and key clip. 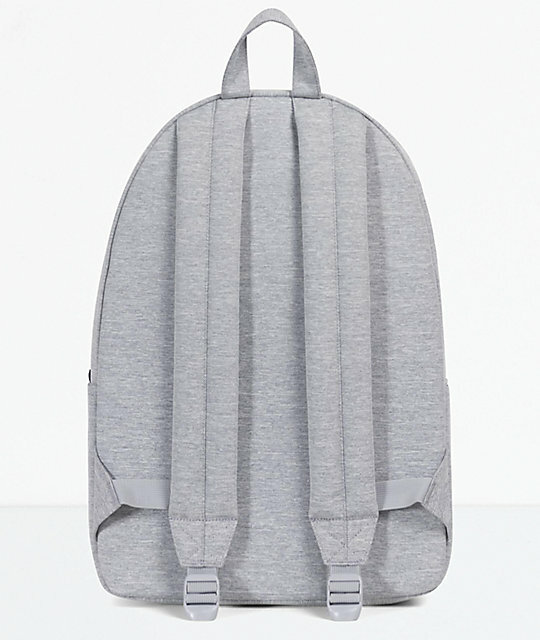 Large main compartment with internal laptop sleeve.